The one of the most popular instant messaging service Whatsapp is now available to iOS users. Launched in the starting of this year, WhatsApp Web was initially released for Android, Windows Phone, and Blackberry users. Now, WhatsApp Web works on Safari browser on Macs but doesn’t have full functionality. You will miss out on voice message recording and photo capturing for example. 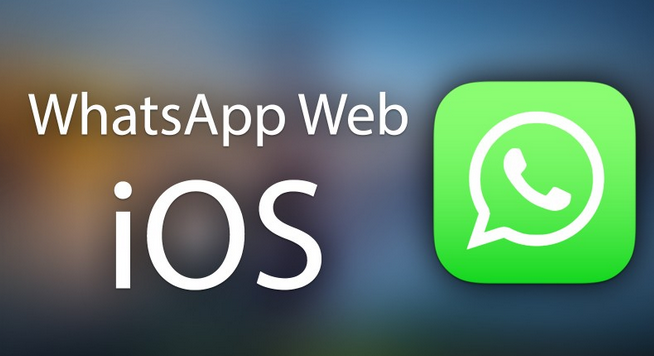 So today in this article we learn a How to use Whatsapp web on iOS. Yes, this is possible with a simple way that I’ve discussed in this article How to use Whatsapp web on iOS by just following the below steps. Step 1. First of all open Whatsapp on your iPhone. Step 2. Now open settings and tap on Whatsapp web there. Step 3. Now you need to open chrome browser on your PC or laptop and go to web.whatsapp.com. Step 4. A QR code will pop up on the screen of your PC. Step 5. Now, the mobile app must launch a code scanner that provides you way to start scanning. Just point your phone’s camera towards the QR code on your PC screen. Step 6. Now you can automatically log into WhatsApp on the web. So above is all about How to use Whatsapp web on iOS. Hope you like it so please don’t forget to share this post with others.